 This post was written by Megan of Two Delighted, contributor for Brooklyn Limestone. Hello friends! It’s Colleen again and I’m here with a DIY for the cat lovers. We adopted the sweetest kitten this winter and we love everything about him, except the fact that our litter box quota has increased exponentially from one (for our older cat) to four (to make sure the kitten doesn’t urinate all over the house). Litter boxes are unattractive and smelly. It is just a fact. The one we have downstairs has been offending my eyeballs for months and I finally decided that I would make an attractive litter box holder to remedy the problem. I was originally going to buy a cheap furniture item from Ikea but then my husband and I stumbled upon the perfect open table/cabinet thing at Restore and I felt like I won the lottery. With some paint and a couple of cat necessities, it has now become a lovely side table as well as a place to hide the litter box. 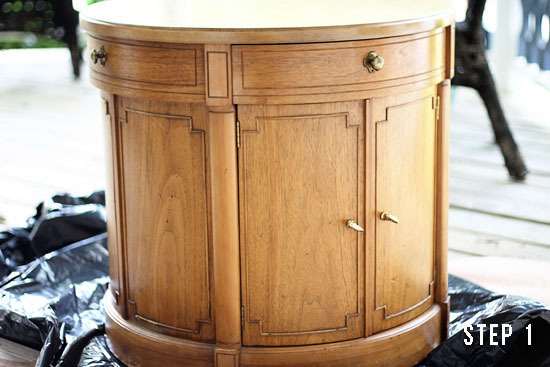 Cabinet or chest that you don’t mind messing up. If you can’t find anything used, Ikea has some cabinets that would work. Paint - I used white oil based paint to make the white portion of the furniture nice and glossy but you can use whatever you want. Litter box that will fit inside of your cabinet - make sure the kitties have enough room for their little heads. Paint the table with whichever paint you choose. Or don’t paint it. Completely up to you. Remove any hardware that will be getting in the way on the inside of the cabinet. I was lucky and was able to just take off the doors to have a hole for the cats to enter, but you might need to cut and sand a hole if your furniture doesn’t have doors. 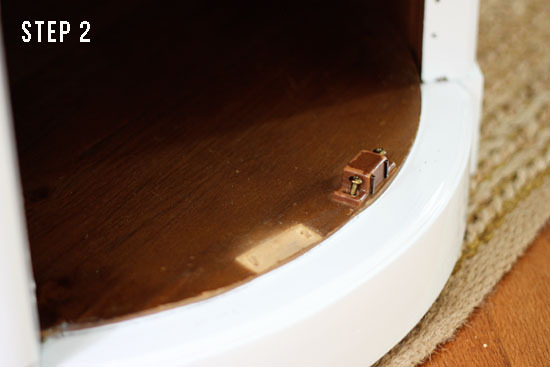 Place the mat at the bottom of the cabinet and line the inside of the cabinet with plastic drop cloth (securing either with staples or nails at the very top) so it is soft for their paws. Once we put the litter box in, it took the cats a little while to start using it. After a couple of days, I’m happy to report that both cats have seemed to like their new litter box. Yay for small victories. While I like the side table, the possibility of hearing my cat in their litter box while company is over is not appealing. This is a joke, right? Hi Emily! It is not a joke :). Unfortunately when you have a whole bunch of litter boxes there is never a great place to put them. This way, I can hide the litter box and then put the doors back on the side table and the cats in another room when I have guests. I get the concept, but it skeeves me out to have it in the living room (which is otherwise very beautiful btw). I think this would work in a room that in not so prominent, like a guest room or an office, etc. No matter what how often you change it, kitty litter always has a bit of a smell and little pieces track out, so I can't see this happening in the living room. I had the same thought as Emily! I can't imagine being the guest that sits there, inches from a litter box. I guess if you clean it out, close it up and it's not a problem when you have expected guests. What about the impromptu guests? 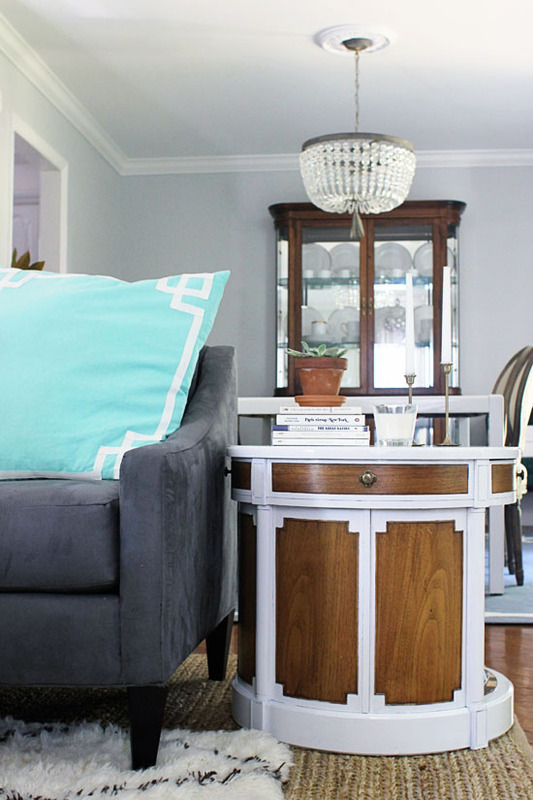 The table is a nice redo, appearance wise! I'm not sure if any of you have cats, but cats are very finicky about where they go to the bathroom. We had quite a few problems with one of my cats refusing to go in her litter box because it wasn't in the place that she wanted it to be. It is now in the entry way under a bench because that is where she prefers to go. We do have more than one litter box (as is recommended for more than one cat) but that is the one she prefers. I have to vacuum up the extra litter often, but it's worth it. If you have to choose between having your cat weeing all over the floor/carpet and having a somewhat hidden litter box- you gotta do what you gotta do. LOVE this! I love the way it looks. 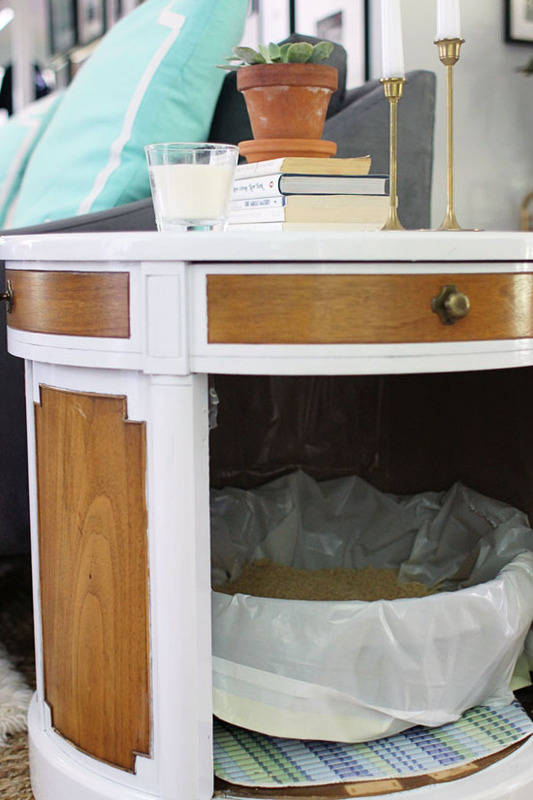 What a great way to hide the litter box when guests are over! You could use it to stash away anything; blankets, puppy or baby toys, magazines, whatever! I really, really hope this is a joke. I'm sorry. But, no matter how attractive or hidden the litter box is, the fact remains that cat poo smells! Plus they always track litter out of the box. There's no way I would put this in any bedroom or public space in my house. I can't imagine one of my cats doing their business while a guest is sitting on the sofa next to them or having to scoop the litter while company is over. If you properly litter train a kitten (so easy to do, their instinct is to scratch and cover up after themselves anyway) you don't need to have lots of litter pans all over the house, though you do need to have one pan per cat. I have to weigh in on this. Love the cabinet and what you have done with it. I have 3 cats and yes more than 1 litter box. I am not going to put one in the kitchen or dining room so I put them in rooms with less traffic. Cats like privacy when they use the litter box and yes for me that means one of the rooms with a litter box is the bedroom. If I can hide it in a piece of furniture I am all for it. It looks great and hides the unsightly box. Great job! And actually the rule for litter boxes is generally one per cat PLUS one. So for my two girls I have 3 boxes. I won't put one in my kitchen or dining room. I don't want one in my bedroom because I'm a light sleeper and the scratching would wake me, and I sleep in my bed every night. So my answer is one in the bathroom, one in the entryway and one in the corner or my living room with a screen. 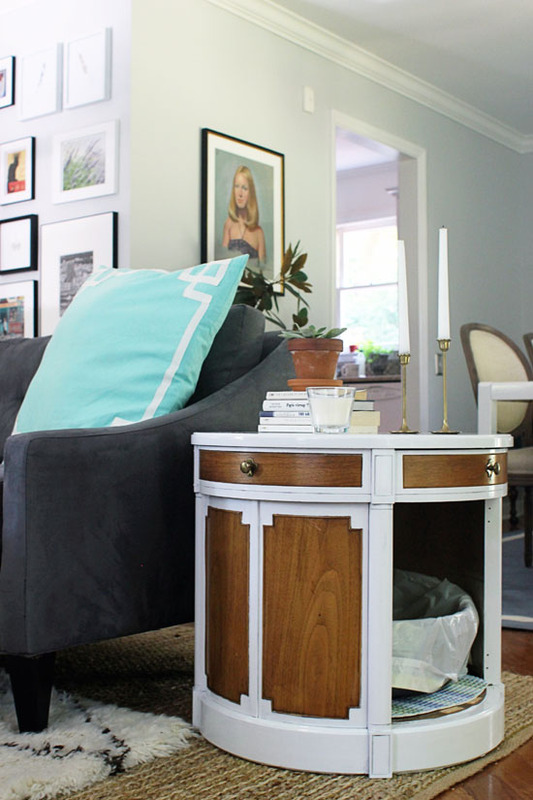 This post makes it much easier to hide the box, without sacrificing a corner of your living room. Most cat owners won't have the cats free roaming to go potty in the living room, and often do their friends probably already know this about their persona. Let's stop the judgment on what is not acceptable and appreciate that for those who may have space issues this is a pretty darn elegant solution. *if they do, not often. I think it's very lovely, and I'm not even a cat person! When I see something on blogs that I don't care for, I simply refrain from commenting. If I for some bizarre reason I could not prevent myself from demeaning someone else's work or taste, I'd at least try and not be rude about it. Good grief. I didn't see any rude comments. People are entitled to their opinions and that's what the comment section is for. Where I come from, to call someone else's ideas and hard work a joke would be considered quite rude and mean. We all perceive things differently, of course.